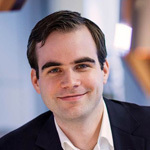 Simon is a junior partner at McKinsey & Company, a global consulting firm. He serves clients in Consumer Goods and Retail worldwide on topics ranging from strategy to operations. Simon is currently based in McKinsey’s Tokyo office. He was a grateful recipient of the Huygens Talent Scholarship which allowed him to complete his Master’s in nanotechnology at the University of Cambridge. In addition, Simon has an MBA from the London Business School and a BSc from University College Utrecht.